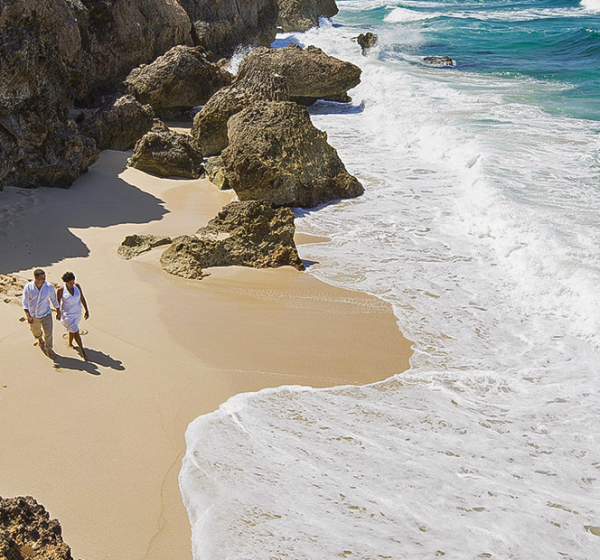 From sunbathing side-by-side on powder white beaches and indulging in a relaxing couples’ massage, to toasting to your love during a beachfront dinner, the beautiful Caribbean island of Aruba is paradise for a romantic escape. Peruse some of the top activities found in Aruba, then call us to personalize your perfect getaway. 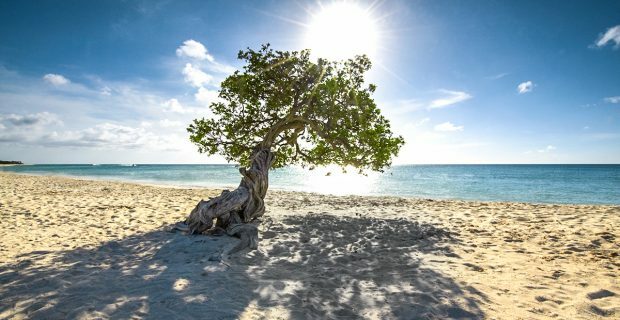 Stroll down Eagle Beach and feel the warm sand between your toes as you take in the scene at one of Aruba’s most breathtaking beaches. 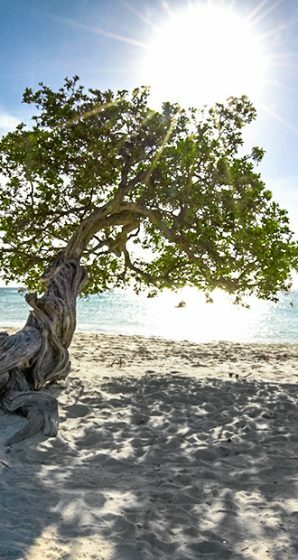 Travel Tip: Stop for a picnic shaded by the palm-fringed arms of Aruba’s unofficial mascot, the Fofoti tree, sculpted by the island’s cooling trade winds. 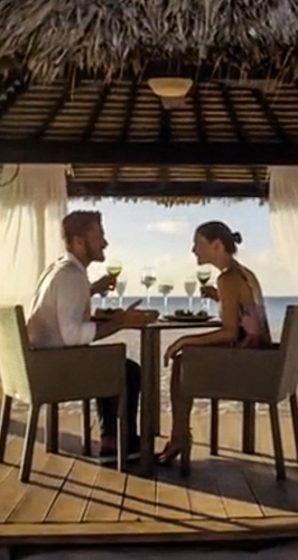 Savor a beachside dinner for two with the sunset over the Caribbean Sea as your backdrop. 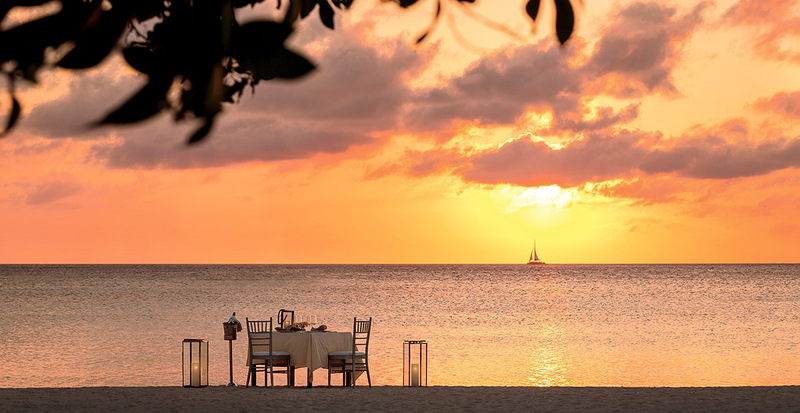 You'll be free to delight in each other’s company while your personal butler takes care of the details, serving delicacies like pan-seared red snapper with asparagus and roasted pepper pomodoro as you bask in the ambiance of the crimson sky at The Ritz-Carlton, Aruba. 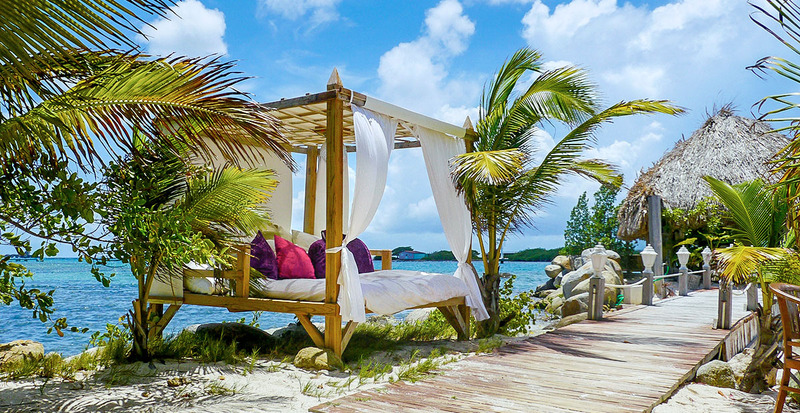 Let the evening breeze gently rock you back and forth as you relax in an oceanside hammock for two. Travel Tip: With Hyatt Regency Aruba Resort Spa & Casino’s Romance Package, you and your loved one will be welcomed with champagne and strawberries in your room upon arrival, the perfect onset to your exclusive getaway. 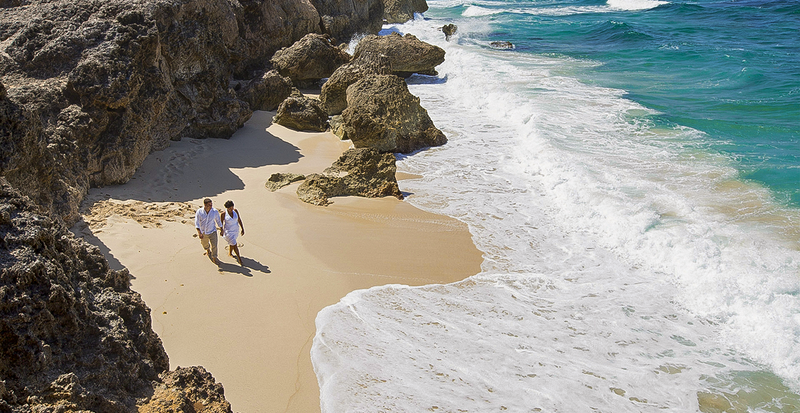 The Ritz-Carlton, Aruba provides the perfect massage for you and your dushi, sweetheart in Aruba’s native language. The Dushi Tera Treatment includes full-body exfoliation and body paint using organic red mud. At the Hyatt Regency Aruba Resort Spa & Casino, enjoy a 60-minute couples' massage of your choice, then luxuriate in your private suite as you sip champagne and nibble on a fresh platter of fruit and cheese. Romance takes to the high seas during one of our favorite Aruba activities. Red Sail Sports' luxury catamarans offer an abundance of activities in a private setting. On board, enjoy stunning vistas of the turquoise ocean while one of the three friendly crew members make sure your cocktail glasses are never empty. Or, jump into the warm waters and snorkel amidst the colorful marine life. 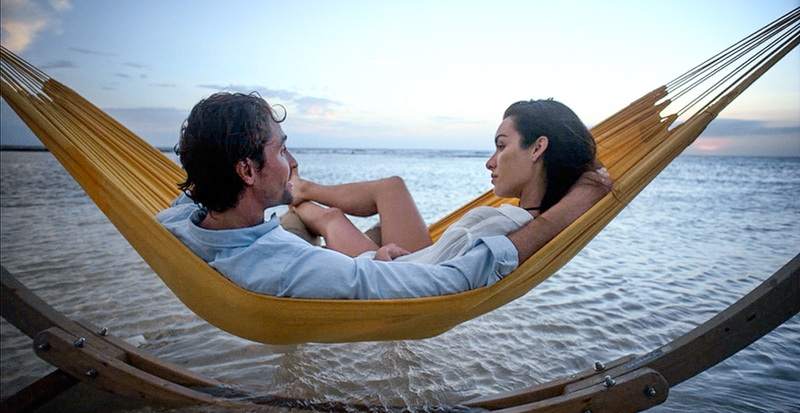 Watch the video below to discover why Aruba is the most romantic destination! 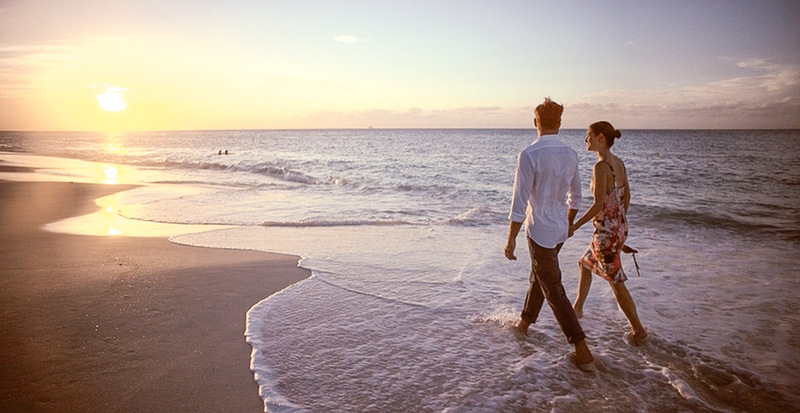 A romantic escape is waiting for you in Aruba. Call us today!